Sometimes the world can feel like a dark place. People are stockpiling survival supplies in their basements, waiting on the world to end. We’re drowning in a sea of high fructose corn syrup, genetically modified organisms, and reality television. We’ve lost touch with ourselves, each other, and the basic rhythmic cycles of the natural world. No wonder so many of us are suffering from depression, physical ailments, and a general feeling of hopelessness. The coops ranged from artful to practical, elaborate to functional. Some were made from all new lumber, many were lovingly handcrafted from salvaged materials. Nearly all were accompanied by beautiful little backyard gardens. 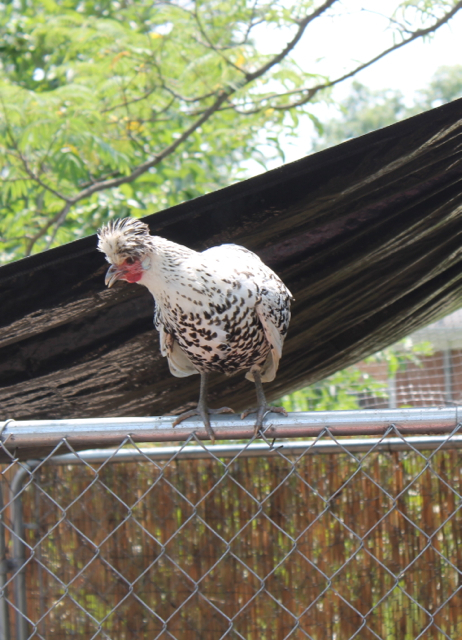 And chicken breeds of all kinds! 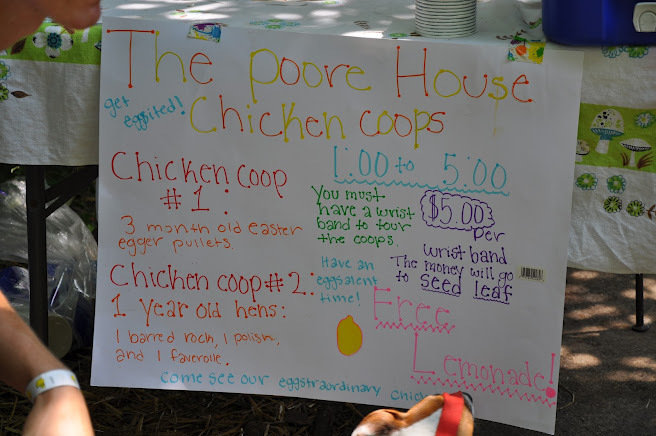 But more important than the coops, the chickens, and the raised beds, were the owners who lovingly cared for them and the fans who showed up to ogle them. These were people who really get it. They have figured out that the greatest joys in life come from truly simple pleasures—the cluck of a hen foraging for insects, fresh greens harvested from your own garden, the crack of an orange-yolked egg against a cast iron skillet. They find happiness in swapping gardening advice over a cold beer, in getting their hands dirty to feed the less fortunate, in teaching someone how to make food grow from a tiny seed. 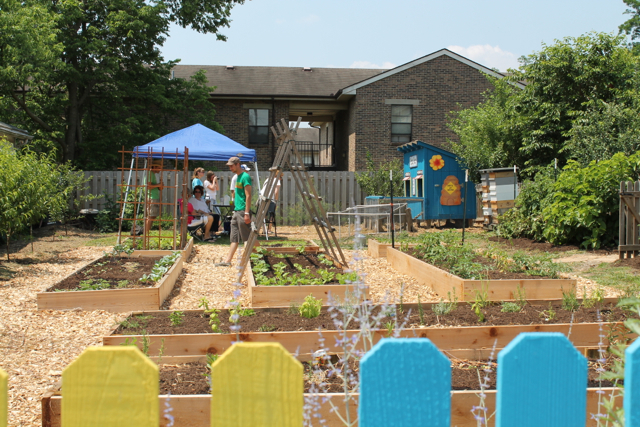 People like Geoff and Sherry Maddock, who have converted the lot next to their home into an urban farm (fondly called Fourth Street Farm) that is a bright spot in the neighborhood. If only all gardens could be so cheerful, surely the world would be a better place? 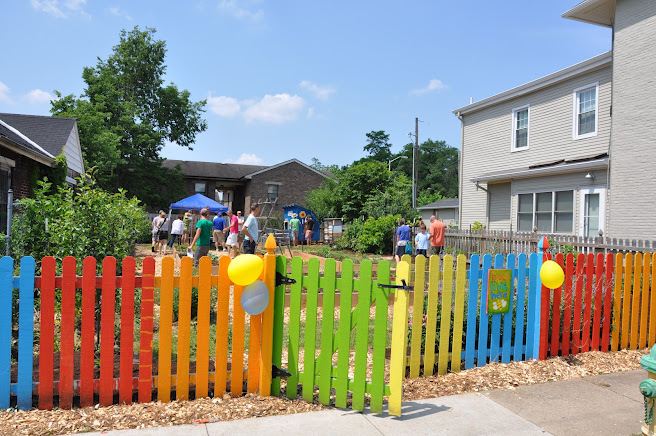 The fence at Fourth Street Farm—instant conversation starter and invitation to neighbors to drop in for a visit! 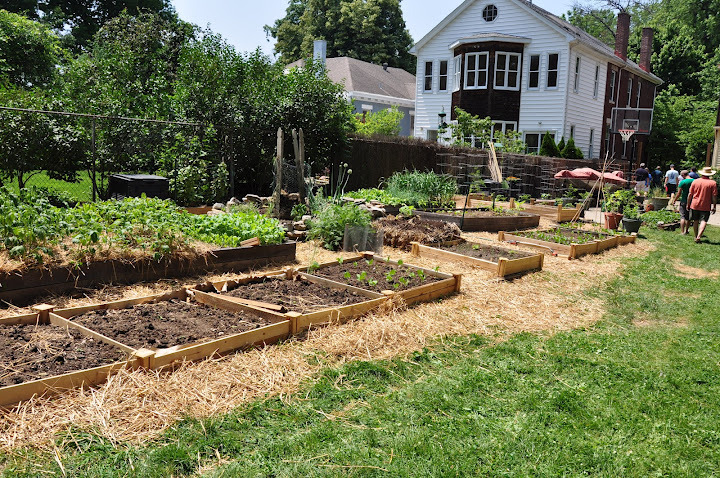 Over the fence—a beautiful urban garden, complete with veggies, fruits, berries, and bees! 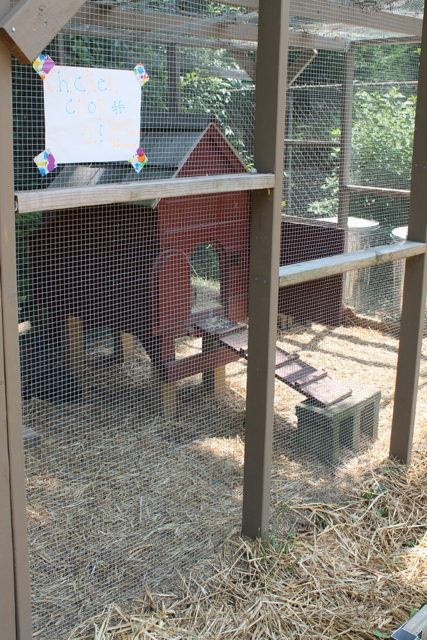 One of the chicken coops at the Poore house! We got to see the chicken operation at Montessori Middle School. There, a group of exceptionally bright young students are raising chickens, bees, and a garden. They are selling the fruits of their labor, tracking expenses, and making profits. What amazing practical skills these kids are learning! What a great way to educate the next generation of farmers and well-informed consumers of farm goods. 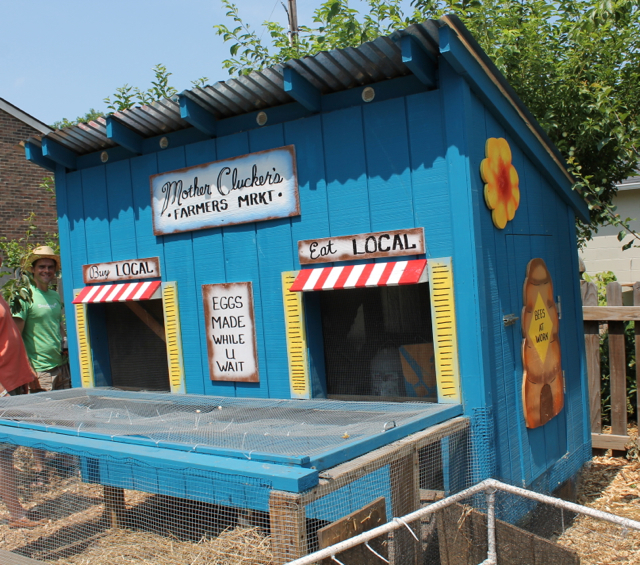 There were also several Cluckers who didn’t have their homes on the tour this year, but visited each of the coops instead. I got to meet the venerable John Walker, who helped start the incredible organization Faith Feeds, which to date has gleaned 100,000+ pounds of produce for hungry Kentuckians. If you don’t think one idea can make a difference, then you need to chat with Mr. Walker. One casual thought to maybe give some extra vegetables to needy people has grown into a great group of people working hard to get fresh fruits and vegetables where they are needed most! 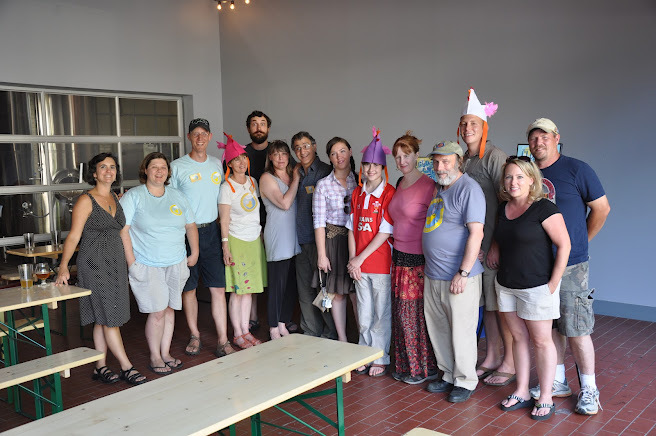 The founders of Cluck!, Anita Courtney and Miki Wright, were out touring as well. I wonder if they ever thought the idea to start a group of chicken keepers would grow into this? The group estimates that there are between 75 and 100 coops in Lexington, and several hundred people that showed up just for the tour! Anita is also working hard to get better, healthier food choices available to local kids, through the Better Bites program. Now Lexington’s park and rec department is stocking things like yogurt and apples as healthy alternative to the usual junky, high fructose corn syrup items they have sold in the past. 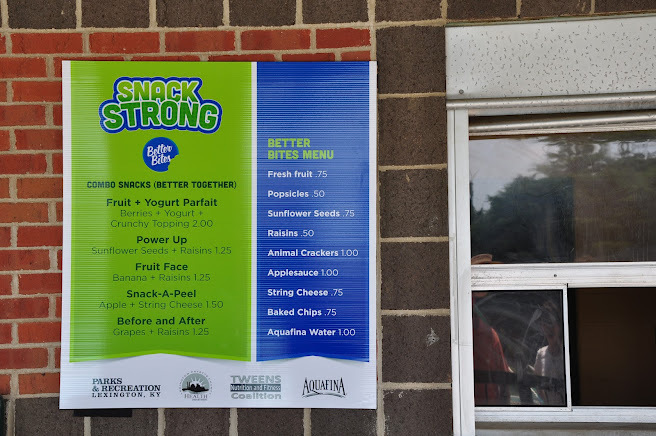 The Better Bites menu at a Lexington pool—giving kids the opportunity to make better food choices! Also present were representatives from Seedleaf, which maintains several community gardens throughout Lexington. They compost, they grow, and they teach the community how to do it, too. Then there’s Blessed Earth, a non-profit with a focus on helping churches and other religious organizations care for God’s creation through making more sustainable choices and teaching their congregants how to as well. There were so many people interested in starting on the path to chicken keeping. Because I was traveling with Cluck’s very own chicken guru, Jeremy Porter (call to schedule your consultation today! ), I got to overhear many of the questions people were asking about the logistics behind keeping urban chickens. People were genuinely enthusiastic about the possibilities. I can see why you would be after the tour. Getting to see other real people out there doing it was really inspiring. This country girl was definitely impressed. If the city folks are doing it, we really have no excuse in the rest of the state! If you are anywhere near Lexington, mark your calendars for this event for next year. If you too far away , find or organize a similar group where you live. It would definitely be worth the effort. This is such an exciting movement! I have had several folks who were on this tour stop by for chickens, so the tour is certainly inspiring people to get started! 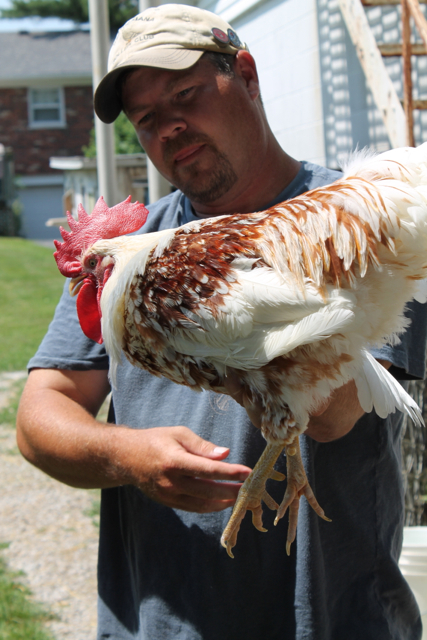 I am a long time chicken breeder…and breed large bodied, heritage breeds that are friendly, “good for something” and beautiful to look at. (These are simply my chicken criteria…and this varies for each person). My favorite thing is meeting new “chicken people” who are on their way to “chicken addiction” and helping them make better decisions than I made when I got started! I have made many friends through chicken keeping! I guess “addiction loves company”! Come LIKE my Facebook page: http://www.facebook.com/whistlingchicken or contact me: whistlingchicken@yahoo.com or call/text me 859-322-9198 if you have questions or need help getting started…or if you are looking for some good chickens to get you started! 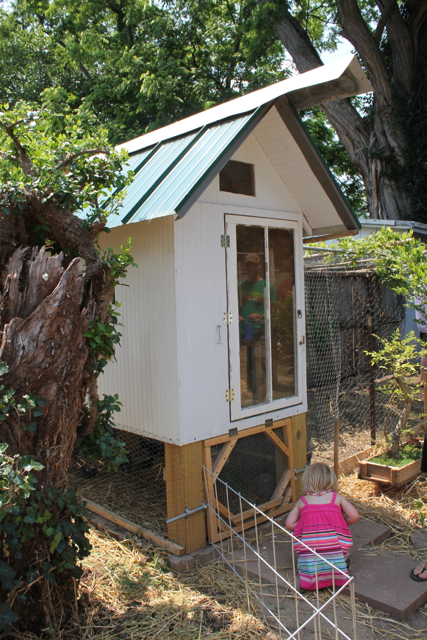 There are a number of my chickens in backyard coops in the Lexington area! What a great summary and beautiful photos of the tour. I didn’t get to visit all the coops so this was the next best thing to being there. Thank you for documenting the tour so well. 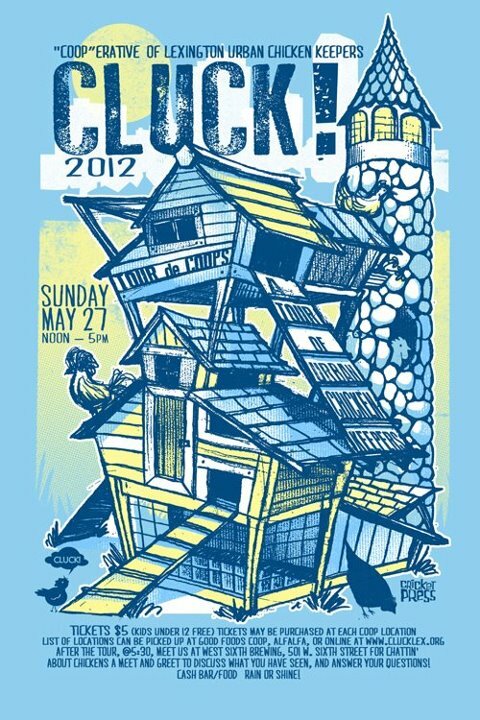 This is a keeper for the CLUCK archives. What a wonderful roundup of the tour! It really was a great day with so many enthusiastic people involved! Thanks for the shout out to Faith Feeds as well!